You are here: Home / Blanket / How Does Custom Fleece Blankets Manufacturing Work? You have a blanket design, and we help you make it into real fleece blankets. Import tax and VAT, international delivery, etc. Right, you probably find it too complicated to understand, but don’t worry, one of the advantages of our company is the professional one-stop fleece blanket manufacturing solution which can make things much easier. For every client, what you need is just to tell us your specific requirements and Zengbo fleece blanket manufacturer will do the rest for you! Please follow the following guidelines and tell us your requirements! You should prepare your fleece blanket designs and packaging designs. Zengbo fleece blanket manufacturer has prepared many blanket design templates on this website, hope they can help you to make your design decision faster. Of course, your personalized fleece blanket design is always welcome too, just send your own blanket design to us via E-mail! Note: Please pay more attention to your customized blanket packaging, because a special packaging can help you to build trust and awareness of your brand. It is recommended to present your company logo and slogan on the hangtags or band labels. Flannel fleece: The flannel fleece was a type of fabric made from polyester. 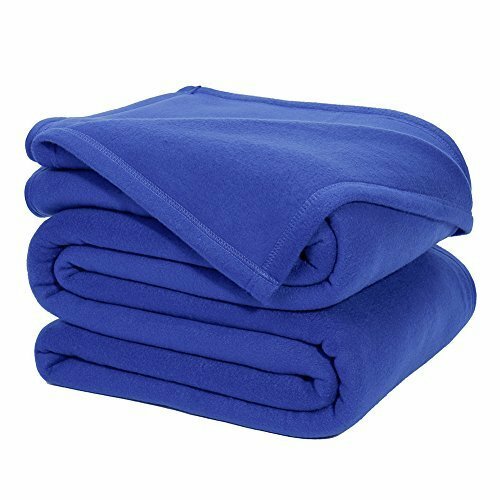 Blankets made of polyester flannel fleece are easy to care since the flannel blankets are anti-fade, fade resistant, anti-pilling, wrinkle-free, and no shedding. Further, they have great elasticity to keep their shape for long and can stain better than others like the cotton blanket. 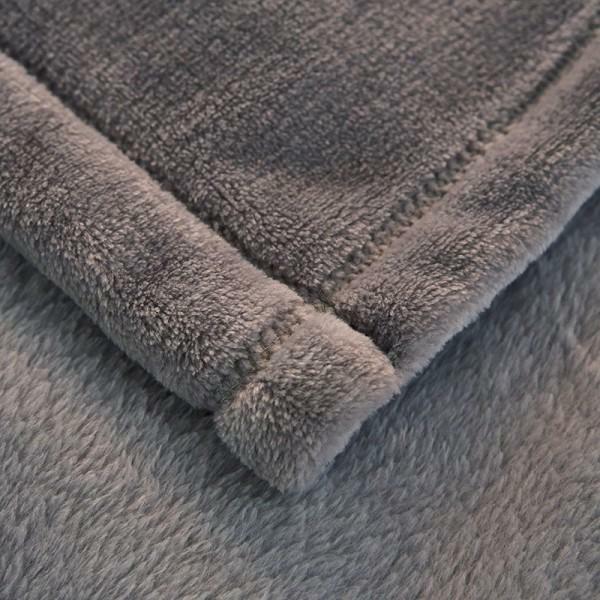 Polar fleece: Polar fleece is a soft napped insulating fabric made from polyester. Sherpa fleece: Sherpa fleece is a type of fabric made from polyester. It is a variant of stretch knit polyester fleece fabric. It has two distinct sides; one has a smooth knit side, and the other side has a texture intended to imitate the look and feel of a real sheep’s fleece. Coral fleece: To some degree, the coral fleece is similar to the polar fleece, but coral fleece is thicker and has a higher “pile” than polar fleece. It is very necessary to finish the edges of coral fleece since the coral fleece sheds on the edges due to its furry texture and it tends to have more stretch than other fleece fabric. The order quantity is a very important factor in whether a cooperation ultimately starts is. As a blanket manufacturing factory, Zengbo has been long producing fleece blanket in big quantities, but now with the global throw blanket business growing and we have cut down on the MOQ to about 500pcs. Further, the order quantity can influence the price a lot. The more blanket you wholesale, the big discount you will get. The Minimum order quantity varies with different fabric and design, So please confirm your ordering quantity for different fleece blanket designs and sizes with our sales team. Tell us the throw blanket size and color you need. Color accuracy is one of the most important things in custom fleece blanket manufacturing. To ensure the fleece blankets are of the right color as designed, we suggest our customers send us color swatch; But just telling us the Pantone number is also available if you are not strict with the blanket color. Fleece blanket samples will be made according to your design and sent to you for approval. For custom fleece blanket manufacturing, sampling fee will be charged to cover our cost of the machine and blanket fabric, but the quality blanket samples are always free of charge and only delivery fee will be charged. 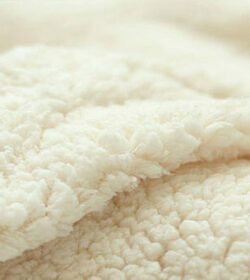 Zengbo custom blanket manufacturer has very flexible payment terms for our existing customers. For new customers, if the order quantity is small and we will ask for full payment; if the order quantity is large and there will be a deposit of 30-50% of total value should be paid upfront so that our blanket factory can start preparing for bulk fleece blanket production. We fully understand your risk to make a decision at this stage, to be frank, we have concerns, too. To build mutual trust and win together, we welcome you to visit our company and our blanket factory anytime. The polyester yarn has several forms, but the DTY (Polyester drawn textured yarn) and FDY (Fully Drawn Yarn) yarn are mainly used to make the fleece fabric. 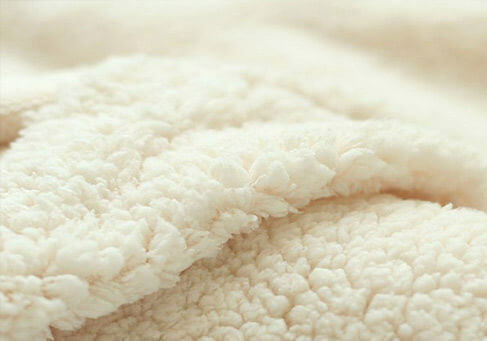 We will choose the most suitable yarn according to the client’ ideal blanket weight and size. After choosing the right yarn the next step in step preparation is knitting the yarn. Our circular knitting machine will knit and bind the yarn into a continuous tube of fabric which is hundreds of yards long. For solid color designs, we will use one environment-friendly dye to apply on both sides of the fabric equally. For printed designs, we will use screen printing or digital printing techniques according to the fleece fabric type. 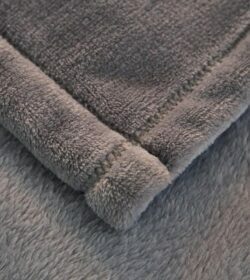 We will finish the fleece fabric by brushing and other ways to enhance the feel and look. Once brushing is done, a blade is used to trim the fleece fiber of the blanket to give a beautiful, leveled pile. Fleece fabric will be often cut in batches either by hand or laser cutting machine according to to the custom size. This is a process that requires care to ensure that they are cut straight so that they appear good when folded. For solid color design, blankets go through embroidery machines to reflect the custom logos and artwork at desired spots on the blanket as instructed by customers. But for printed design, the logo or slogan will have printed on the blanket directly. Different types of sewing machines are used to sew and hem the fleece blankets. They are hemmed in one of the kinds of hems to add durability and appeal. Overlock stitch is often used at the edge where the hems meet. Cutting, brushing, shearing and hemming fleece blankets create loose threads and this requires gentle vacuuming. This process ensures none of the threads remain on the blanket. The blankets are inspected for length, width, loose threads, dirt, stains, holes, poor stitching, embroidery, and printing. Any blemishes like spots or color shading are checked to make sure the customers get what they order. Fleece blankets will be private labeled according to your requirements, hangtag or band label will be attached for each blanket, and you can also choose various packaging. Custom fleece blankets manufacturing is completed and it’s time to pay the balance and then your custom blankets will be shipped! You are supposed to choose the best way to ship your bulk blankets from China according to the order quantity and time. Sea shipping is the most economical way for international delivery, especially for bulk fleece blankets manufacturing. Special logistics line (by air) to UK and USA while taking care of import tax and VAT; 8-12 days of delivery time. $5.5-$6/Kg. Train delivery to Europe and Middle-Asia. 1/3 delivery time of sea shipping, 1/4 delivery fee of air shipping. Fastest & Costly, we will use express delivery to send blanket samples or a small number of fleece blankets. If you’d like clarification about our custom fleece blankets manufacturing service or wholesale service, then we’d love to answer your questions.